PISS DRUNK PISTA is a free monthly meet, riders club for fixie junkies in the Tokyo Metro area. All are welcome to join on their monthly ride. 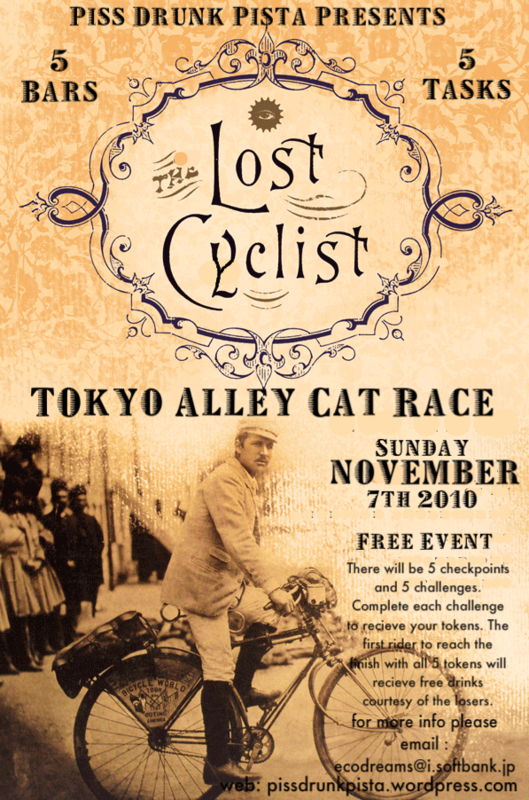 See the poster below for details of November's ride. It looks like it will be a nice ride with some interesting sights along the route.